Compatible Ricoh Toner Cartridge, Cyan, 18,000 page yield. Replaces Ricoh part number: Ricoh 841650, G1945. Color Laser Toner Cartridge compatible with Ricoh Aficio MP C3002, MP C3502. Compatible Ricoh Toner Cartridge, Magenta, 18,000 page yield. 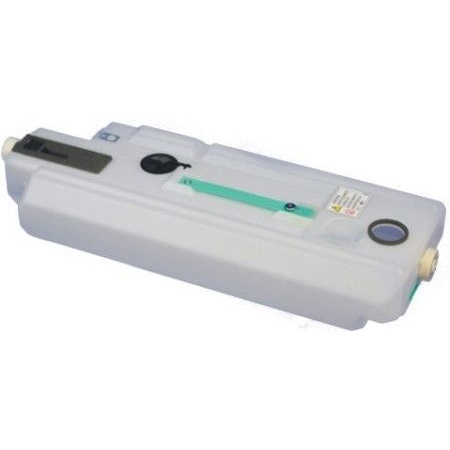 Replaces Ricoh part number: Ricoh 841649, G1939. Color Laser Toner Cartridge compatible with Ricoh Aficio MP C3002, MP C3502. Compatible Ricoh Toner Cartridge, Yellow, 18,000 page yield. Replaces Ricoh part number: Ricoh 841648, G1938. Color Laser Toner Cartridge compatible with Ricoh Aficio MP C3002, MP C3502. Compatible Ricoh Toner Cartridge, Yellow, 22,500 page yield. Replaces Ricoh part number: Ricoh 841752. Color Laser Toner Cartridge compatible with Ricoh Aficio MP C4502, MP C5502. Compatible Ricoh Toner Cartridge, Black, 22,500 page yield. Replaces Ricoh part number: Ricoh 841578. Laser Toner Cartridge compatible with Ricoh Aficio MP C3001, MP C3501. Compatible Ricoh Toner Cartridge, Black, 25,500 page yield. Replaces Ricoh part number: Ricoh 841582, 841452. Laser Toner Cartridge compatible with Ricoh Aficio MP C4501, MP C5501. Compatible Ricoh Toner Cartridge, Black, 28,000 page yield. Replaces Ricoh part number: Ricoh 841647, G1936. Laser Toner Cartridge compatible with Ricoh Aficio MP C3002, MP C3502.